Feel the Noize - The Singlez Box! is a limited edition compilation box set, released by BMG on 31 March 2019. The set, housed in a 7-inch box, contains nine reproduced international 7-inch singles from the band's commercial heyday between 1971 to 1974 and a reproduced 7-inch promotional single, "Night Starvation", from 1980. 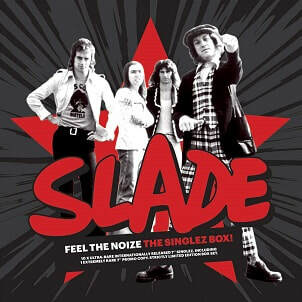 Feel the Noize - The Singlez Box! was publicly announced in March 2019 and made available for pre-order on the e-commerce platform Music Glue. The set was originally intended for an October 2018 release and various online retailers in Europe began listing the product during that time. Coinciding with the 2019 announcement of the set's release, it was also revealed that Slade's entire catalogue would be available worldwide on all major digital platforms from 12 April.